Hey y’all! For my fellow Southern East Coasters are y’all braving the “storm?” Ha. I am from Charleston so I know all about crazy hurricane/wanna-be hurricane/tropical depression weather. I am actually headed to Charleston after work today. How nice of Andrea to clear out before I get in to town! She looks nasty! Look at all that rain! I have another big weekend on the books this weekend. Last weekend, I took my bridal portraits. Yes, last weekend. My wedding is in October. It’s called beating the heat -- not over zealous! This weekend I am running my first ever race, a 5K. 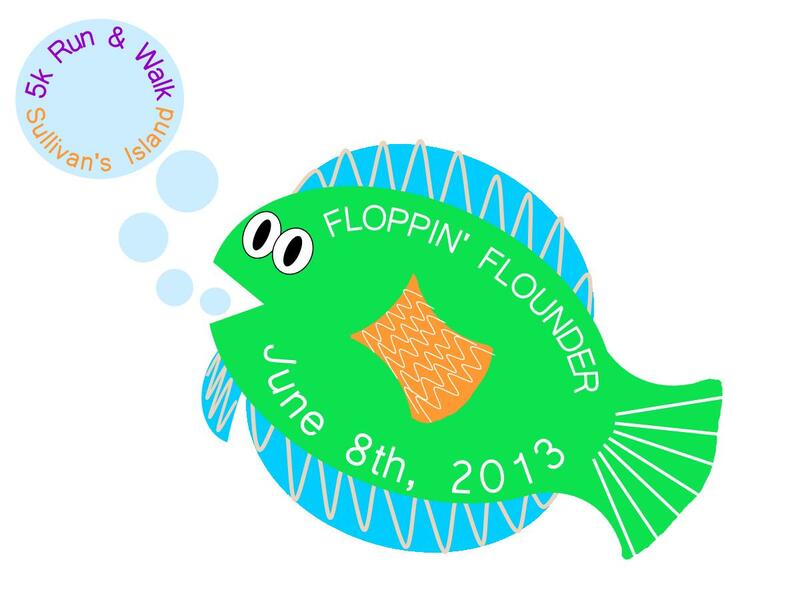 It is called the Flopping Flounder. How ironic that I will look like one when it is over?! I know it’s only a 5K but considering I’m not a runner and have been training to get better at running…it’s a big thing for me. It is taking place on Sullivan’s Island. I will have a few friends in it with me. I just need my tunes to get me through... like Lil' Wayne, Nelly, DMX...yes... I have to have rap to get me goin'. Who doesn't?! After, we are headed to my friend’s family beach house. It is an annual thing with our group. We all go out on a Saturday and just sip and sun and gossip. It is too much fun. Always a good time to get all the girls together! And Sunday, I am helping a host a baby shower for one of my bff’s. She is due July 7th – 9 MONTHS TODAY! Home- girl is already progressing if you know what I mean so had to be put on bed rest yesterday. Y’all say a little prayer for her that sweet Mason bakes just a little bit longer. We need a healthy happy baby boy!! I will be sure to take lots of pictures for y’all! Hope you all have a fabulous weekend!